Is it something about Halloween, or is it just the camera season this time for this year? Anyway, Fujifilm have launched a couple of cameras, and the first is the update to the X-E1, which gives it the X100S’s 16 megapixel X-Trans sensor with the phase-detect autofocus sensors, as well as tweaking it in small but numerous ways from feedback. A company actively listening to photographers. How nice is that? Not that others do not, but Fujifilm seems to be more quick on the uptake. The phase-detect autofocus means that the camera has a much faster AF speed (along with the totally useless split image thing – focus peaking is so much better to use), though Fujifilm’s measurements are a bit dodgy, using the 14mm, which being an ultrawide, their short focus helicoid will always have a faster focusing time comparatively. Other improvements include a larger LCD (now 3.2″ and sporting a 720×480 resolution), 1080p video at 60 FPS, WiFi, many many user interface tweaks, and the XGA EVF being given a minimum frame rate of 50 FPS even in low light. Ouch, I remember how much I disliked the X-E1’s EVF. The XGA resolution did not even impress me after the choppiness of the live feed. 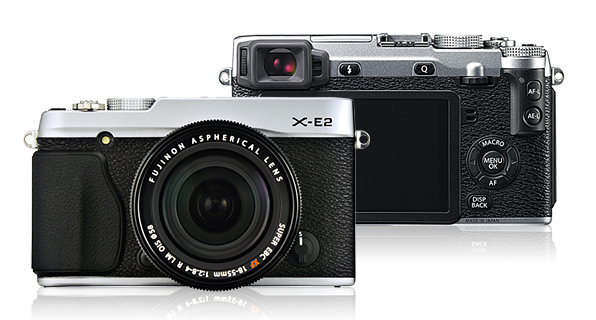 Overall, it is a smart update for Fujifilm to make: Of all the cameras, I think the X-E1 is the one that got the balance between price, size, and seriousness right. Arrives in November for US$1000 for the body, or US$1400 for the 18-55/2.8-4 kit, which is the same price the X-E1 was launched. Up next, is the XQ1. I remember the X-F1 being a cool-looking retro compact which did not sell well. Aside from the marketing issues, it says a lot when the camera ships with a sticker and a tag both showing how to switch the camera on with the somewhat clunking zoom ring mechanism. Well, that is gone now, along with the retro design, with the XQ1. It retains the 28-100mm f/1.8-4.9 equivalent zoom lens, the 2/3″ 16 megapixel X-trans sensor, but everything else is much more modern now. The zoom is now motorised and controlled with a typical lever around the shutter button, and the lens features a control ring around it instead. Alas it is the free-spinning type like the one in the Sony RX100, not the click-type in the Canon S90+ series. 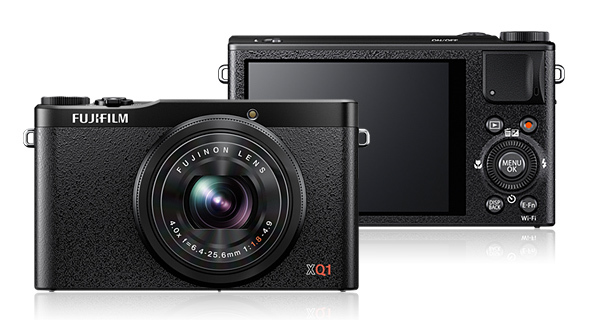 The XQ1 will be available in October for US$500. This entry was posted in Photography and Gear News and tagged fujifilm, x mount, x-e2, X-trans, x100, xe2, xq1 by Yuan Sheng. Bookmark the permalink.